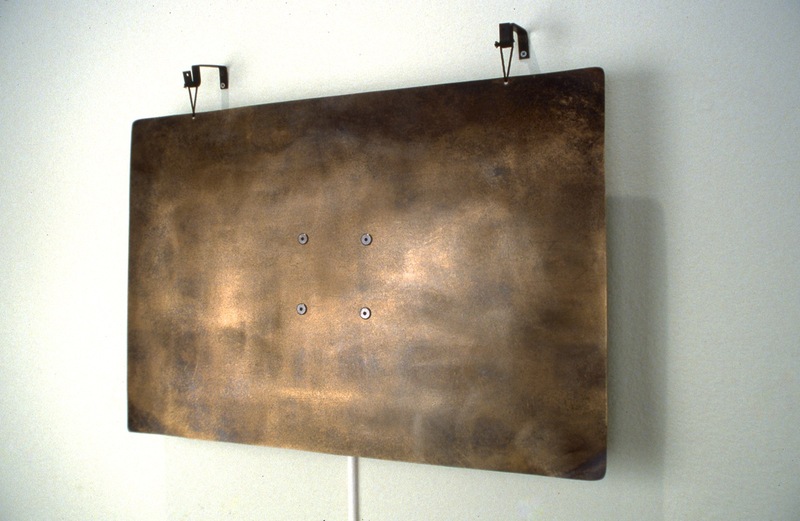 A 20" by 30" bronze plate is electromagnetically excited to produce a quiet and constantly changing music. The plate is hung from the wall with all associated electronics mounted behind the plate. Traditionally, a fundamental principle of loudspeaker design has been to reproduce an audio signal as transparently and faithfully as possible. This type of transduction de-emphasizes the role of the loudspeaker because the listener is expected to internally supply the context and location for the sound. In contrast, this sound sculpture focuses attention on the plate as both producer of sound and visual object.